For once I'm not going to talk about my own selfish person. Well, actually about my better half instead ! If you pass by Paris this November, you need to wander by the L'Art de Rien Gallery in the quartier Montmartre, where you can see a beautiful exhibition of the romantic art of Agata Kawa. 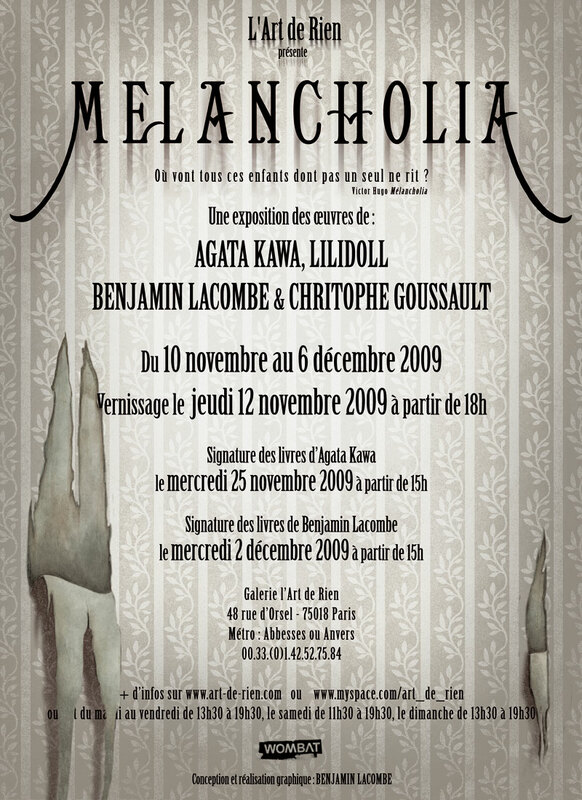 Alongside with artists Benjamin Lacombe, LiliDoll and Christophe Goussault. 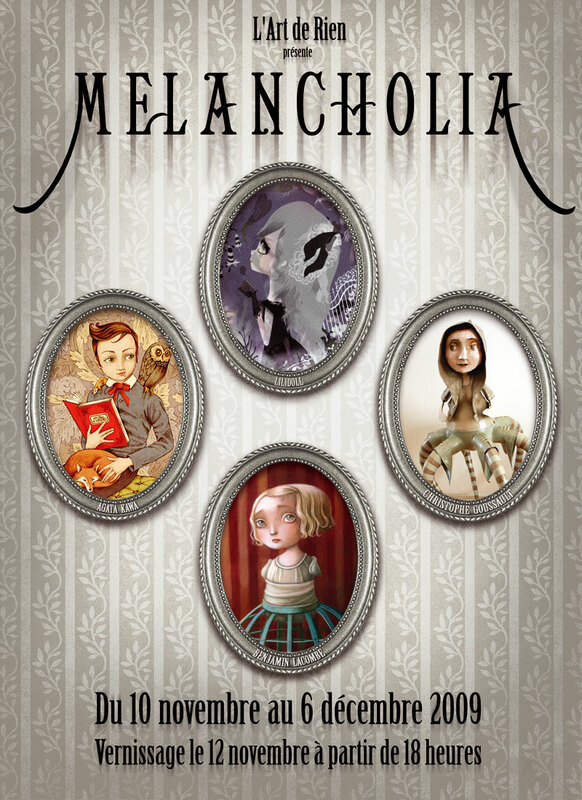 If you like the 19th century victorian era, the freaks, and children books, you won't be disappointed at all. The gallery sells books, giclees, originals of many sizes and low prices most of the time. Note that Agata Kawa will be signing her book Tigre le Dévoué at the Gallery the 5th of December.